Gobbledygeek episode 195, “Turtlez n the ‘Hood (feat. Joseph Lewis),” is available for listening or download right here, and on iTunes here. Not a boy but not yet a man; it’s something both humanoid mutant turtles and Texans experience. 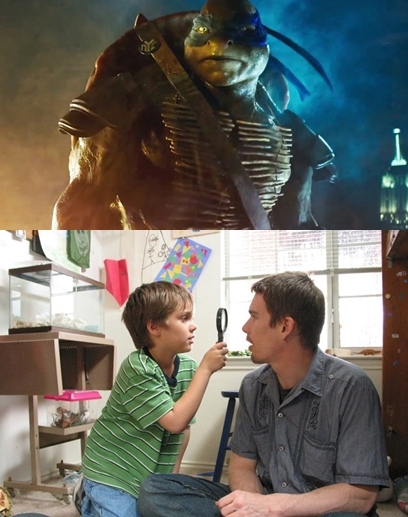 To cover that wide range of experience, Paul and AJ are discussing both the new Michael Bay-produced version of Teenage Mutant Ninja Turtles as well as Richard Linklater’s down-to-earth epic Boyhood. Joining them is Nowheresville director/Smoke Gets in Your Ears: A Mad Men Podcast co-host Joseph Lewis, who manages to summarize TMNT in the most beautiful way possible. That might be the only beautiful thing in relation to the movie; spoiler alert, but one of these films is a hell of a lot better than the other, and it’s probably the one about growing up without a stable father figure that was filmed over 12 years. Wait, which–which one was that? Plus, things start on a serious note with Ferguson and the passing of Robin Williams. Next: we continue our year-long Four-Color Flashback exploration of Neil Gaiman’s The Sandman with a discussion of Vol. VI: Fables and Reflections. Gobbledygeek episode 140, “Our Pain, Your Gain” is available for listening or download right here, and on iTunes here. 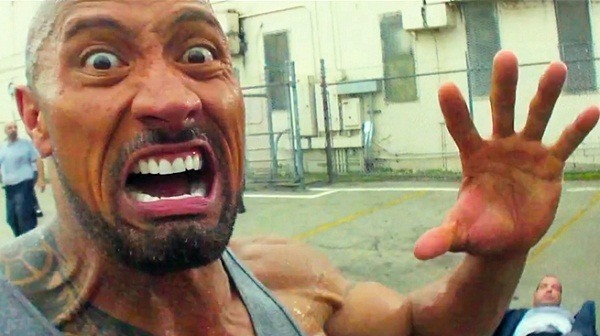 For the third annual “Paul and AJ Make Each Other Watch Awful Movies” event (man, we need a better title), the boys forced each other to fork over cash for Michael Bay’s latest, Pain & Gain. While the film is blessedly better than, say, Transformers, it’s still pretty terrible…the only question is how terrible. A surprising amount of mileage is gotten out of that question. Plus, AJ raves about The Place Beyond the Pines and Paul almost died on a backroad somewhere. Next: freestyle madness, perhaps with an old friend!